Short sleeve dress with wide neckline. Shirred panel on bodice front. Bow with cameo at neckline. 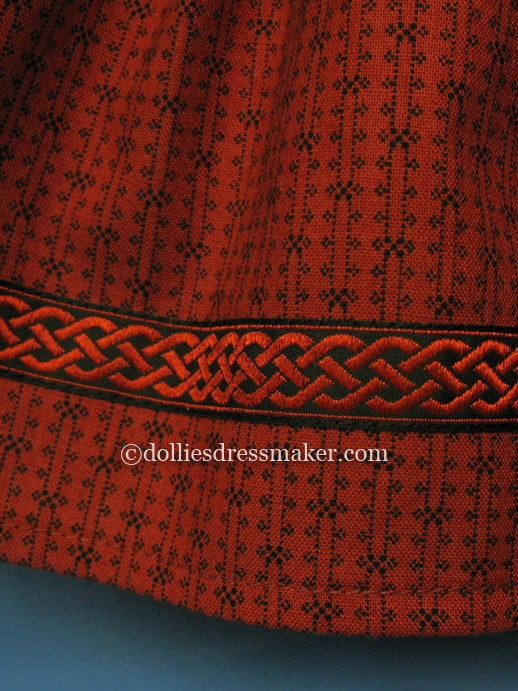 Skirt with Celtic Knot jacquard braid. 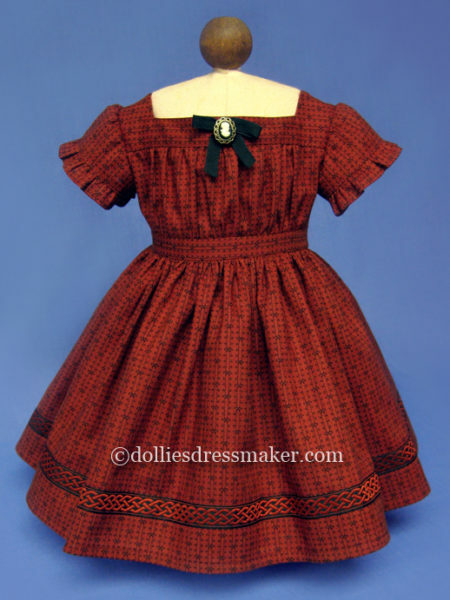 This is a gorgeous dress. 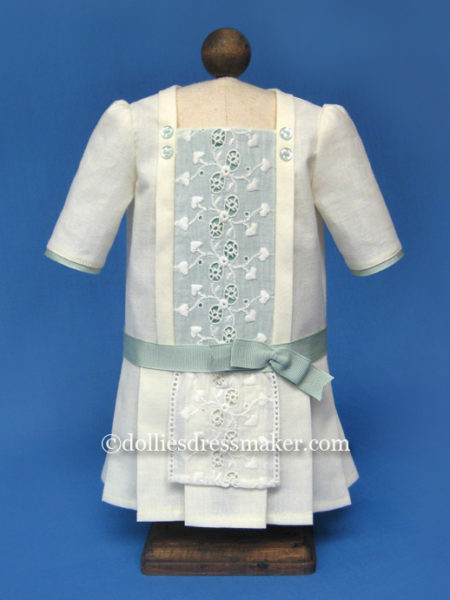 The fabric choice and sewing are perfection. It was well packaged and shipped quickly.Thanks. 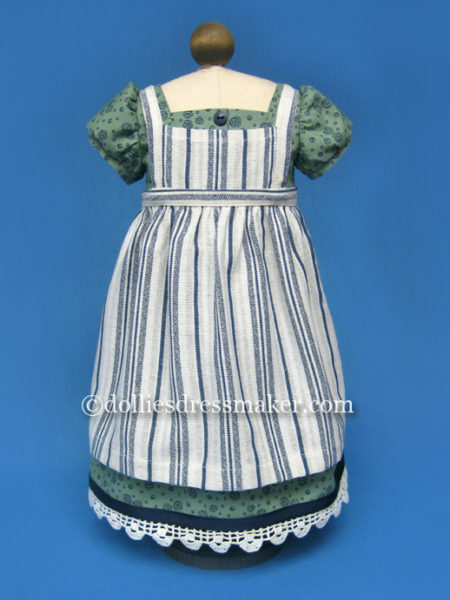 I like Addy’s clothes the best out of all of the AG historical dolls. 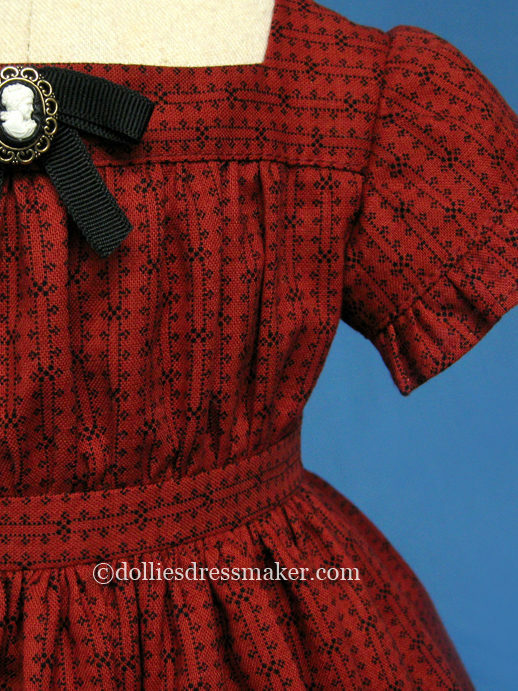 This dress is a wonderful recreation of a period dress and the details make this a very special dress. 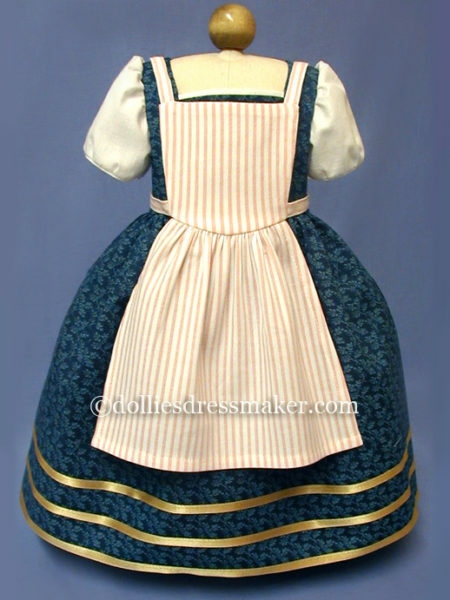 The dress has a lovely full skirt so the dress can be worn with Addy’s hoops and petticoat for an authentic look. The workmanship and quality of materials is top notch. 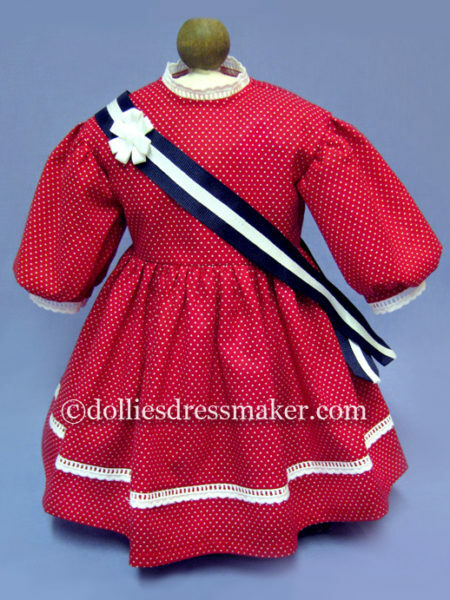 I highly recommend Dollies Dressmaker! What a beautiful dress! The quality is amazing, perfect in every detail! I just couldn’t be happier. Thank you so much! Received this Addy dress today…it is so pretty, all seams finished and workmanship is perfect. Very pleased with purchase. Packaged so dress was ready to wear out of box.